You must make reservations at least 5 minutes in advance of the time at Cedar + Stone, Urban Table. Self-parking is available in the ramp below the hotel with access to Cedar + Stone through lobby elevator. The first 2 hours are free, please see a hostess for additional 1 hour validation. Valet Parking available at the Hotel Entrance at a $10 flat rate. Ground Transportation with convenient drop off and pick up for passengers at the new North Entrance to the Mall of America. Through this entrance, Cedar + Stone, Urban Table will be to your left in the Rotunda. 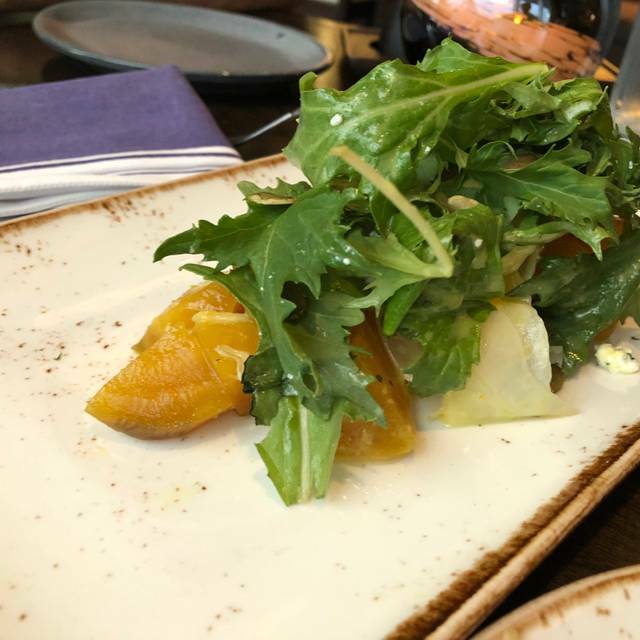 Inspired by relationships with farmers within 200 miles of Cedar + Stone, Urban Table, guests will enjoy a fusion of cultures with non-guilty pleasures. Experience refined chef-crafted dishes artistically presented, inspired around Minnesota’s natural roots and local culture. Delightfully pair all of our dishes with premium wines, regional spirits and hops. Lovely brunch. However, having to get up for beverages as well as food was an unexpected bummer. First time there and it was amazing!!! Everything was perfection. The staff, the food, the atmosphere. We will visit again when we’re visit MN again. Excellent excellent excellent. Everything about it was top notch!!!! We went here for dinner after a long day of shopping. We had a marvelously delicious dinner! My pork chop was perhaps the best I have ever had - tender,juicy and incredibly flavorful! Our waitress Alyssa was fun, knowledgeable and efficient. She definitely made our dining experience exceptional! Nice cozy decor, good food and great service. On the spendy side but was worth it . The kale dip is a must try!!! Exquisite Filet Mignon atop mashed potatoes and corn! Cooked Medium-rare I enjoyed every bite of my main course. Even after filling up on the meat and cheese board. I'd pass on the curry flavored cauliflower that looks like cheddar popcorn. The cheese were my favorite of the whole board. Wine selection was broad yet only one Moscato and one Prosecco to choose from. Hmmph! Restaurant was beautiful and new to MOA on Wednesday evening. The noise level was surprisingly loud in the restaurant. Nothing to do with it being int he mall but after 7pm the room went from 10% full to 99% full. It got crazy busy. I'm glad I grabbed the 6:30pm reservation on OpenTable! Good spot for a business lunch. Light atmosphere with food and service that are consistently top notch. The food was absolutely horrible. A bill over $100 and just plain terrible food. Couldn’t even garner to get more than a bite of anything soaked in grease and just horrible. 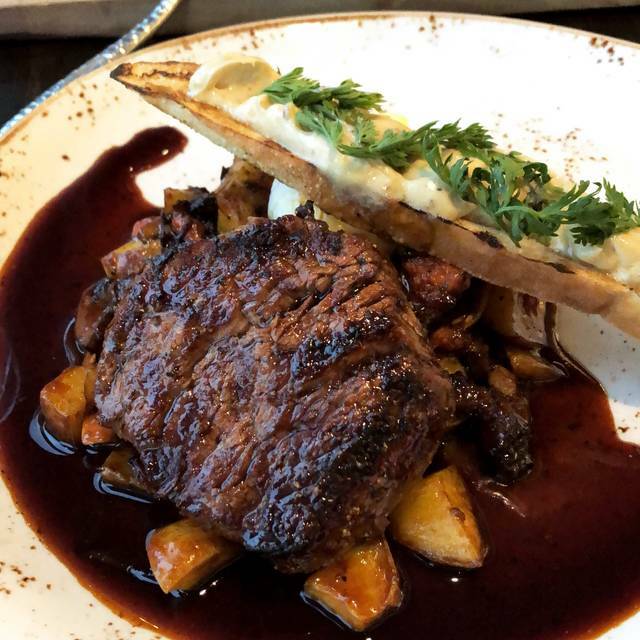 We dine at Cedar + Stone nearly every time we visit the MOA. The service can sometimes be a little off but never bad enough to dissuade us from visiting again. Friday night our server was excellent! We also got plenty of attention from Greg, the sommelier, so our glasses never went dry. We were a table of 6, 4 adults, a teenager and a 7 year old. The menu offers something for everyone. 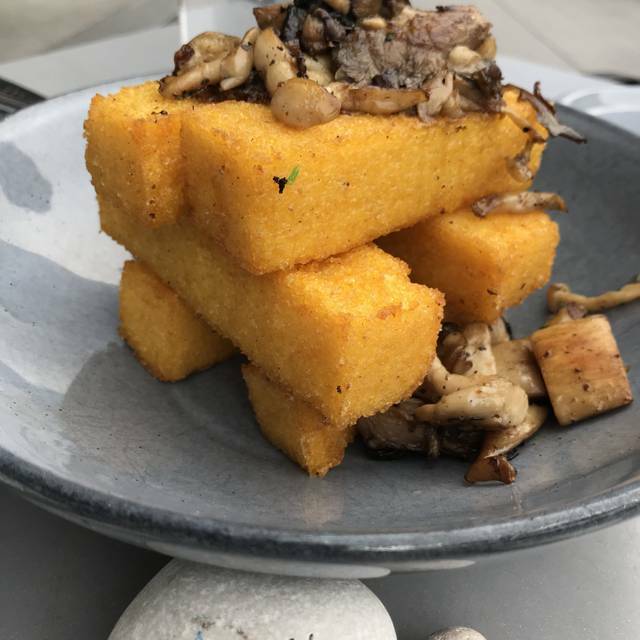 We enjoyed the sliders, cheese curds and polenta frites for starters. All three were served promptly and were delicious. The teenager had the Mac n cheese for an entree and loved it! The adults enjoyed the filet (2) and the salmon (1), the 7-year old and I had the sliders since those were gobbled up in the appetizer round. The sliders are one of my favorites on the menu when I want something satisfying without being stuffed. I’m also a HUGE fan of the torn kale salad; it is delicious. The dressing on the salad is perfect. 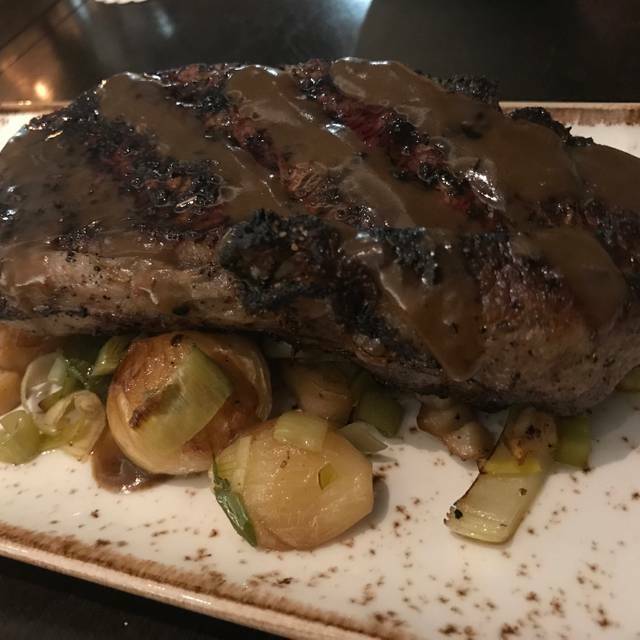 If you’re looking for a nice place for dinner inside the MOA, I highly recommend C + S; it’s a great spot for cocktails, apps, and dinner! Check in desk attendant was confused and hard to understand. Waitress was excellent. The Roasted cauliflower and Walleye were both done to perfection. Delicious in every way. Great location with good food. Had chicken and it was very good. Bit pricey but good. Fantastic!!! It was my daughters 40th Birthday and it couldn’t have gone better! The service from the time we were seated until we left was outstanding! 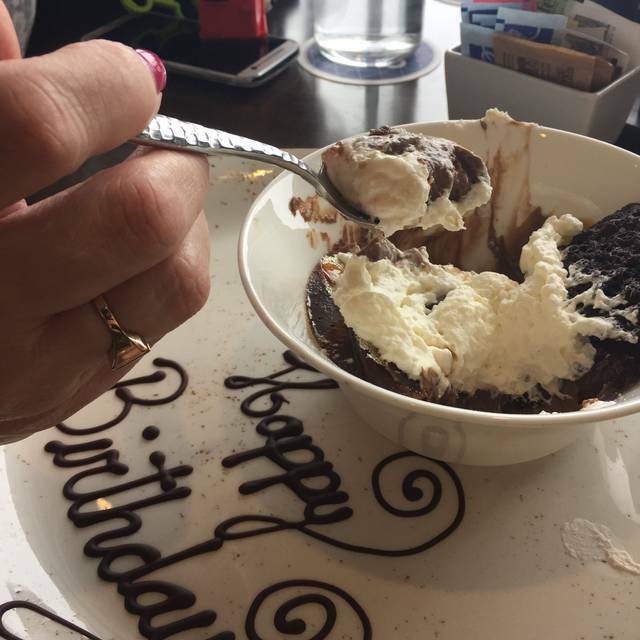 It was a nice surprise that her dessert had Happy Birthday written on the plate in chocolate and that it was complimentary along with the coffee. 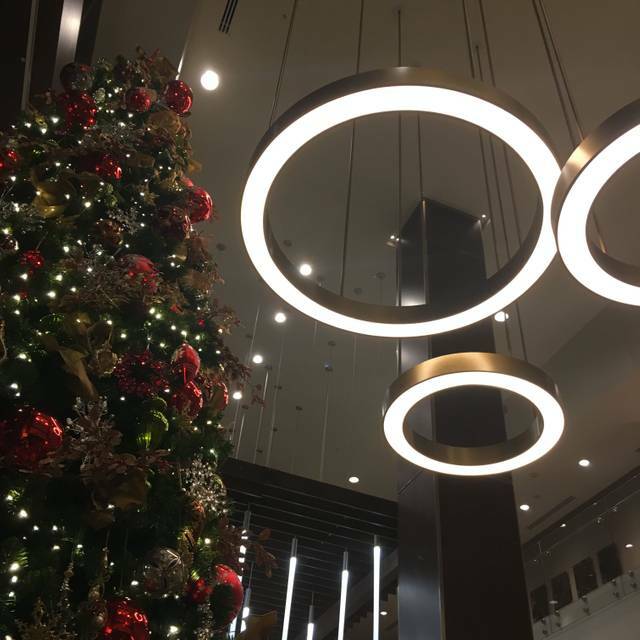 Overall, if we ever make it back to the Mall of America JW Marriott, which I hope we will, we will be making another dinner reservation for sure!! Thank you for everything! Very cool decor and atmosphere, but not a place I would go to celebrate a special event (staff didn't do anything out of the ordinary to make us feel special celebrating a birthday), and the ambiance was disrupted by the loud, club-like music that didn't fit the vibe of the decor. For an upbeat, cool, cold environment, it was ok. Food was good. Our food was a bit overcooked, and our waiter messed up our order, but it was overall fine. Great food and ambiance. Have been here a few times and really enjoyed it. Celebrated my wife’s 50th Birthday here and we both enjoyed it as always. Greg the Sommelier is fantastic! Alyssa, our Server, was very busy, and did an excellent job. The entire team provided great service. The food was very well prepared and presented very well aesthetically. Enjoyed a great meal....louder than I remember, yet nothing to harm the overall experience. I dream nightly about the Don Lockwood! The blend of bourbon and smoky Scotch is just a delightful spin on the traditional old fashioned. 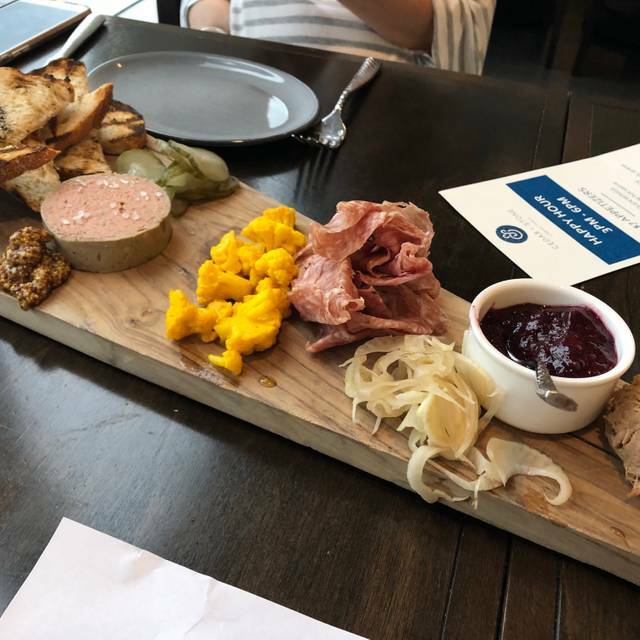 Our team makes Cedar + Stone a regular stop when meeting in MSP, even if not staying at the JW Marriott. Appetizers/share plates provide an excellent option for lighter late night meal. Stand outs: cauliflower & kale, chicken basil pizza, cheese curds, and mussels. Pass on the chicken wings (different but ordinary). Service is always spot on. If you're driving, be sure to park in the JW Marriott garage and take your inside for validation. The 3-6:00 Happy Hour is a really good opportunity to enjoy wonderful food for reasonable cost. We the split an entree. They are very flexible and excellent service. Not busy but still slow service. The server didn’t know the difference between an old fashioned and a daiquiri. Great food and ambiance! Went there for brunch and had the BLT pizza and the house-made maple bacon biscuits. Definitely will be going back! Would have given my review an overall 5 stars except that when we arrived early and asked if we could have a cocktail in the bar until our table was ready we were told we could but we needed to return to the concierge at our reservation time. In all other cases like this, a waitperson or restaurant manager comes and finds us to let us know our table is ready. Petty on my part maybe but I prefer to be treated as a guest from the first minute I arrive. This was my first time having dinner here. The service was amazing. Our server Bill was Great!! 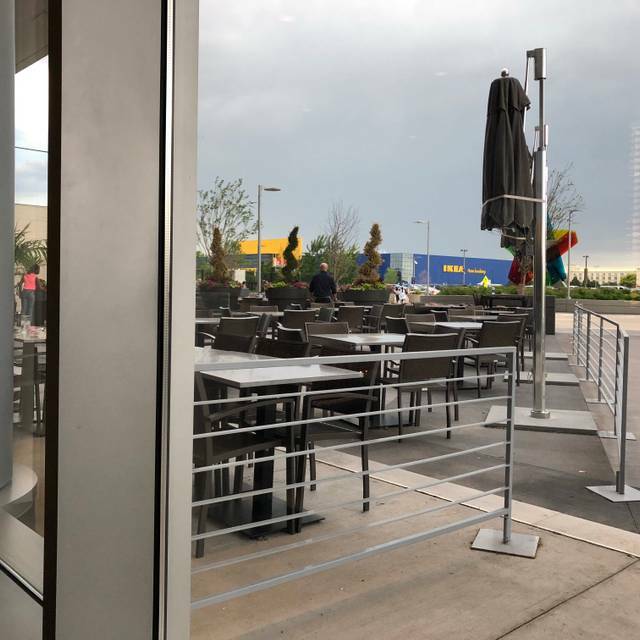 The restaurant is connected to the mall of America so I thought I would feel “mall-ish” but it was actually so well decorated and tucked away that you forget you’re in the mall of America. The cauliflower appetizer was YUMMY. My salmon was AMAZING! Everything was perfect. I’ll definitely be back!! It was delicious as ALWAYS! Yes, in fact I have turned many of my friends on to Cedar & Stone!! Good food, great service, a little pricey. The food was fabulous, and we’ll go again. The only nit was The to-go container for leftovers was plastic. I’d like to see them use environmentally-friendly to-go containers. The only criticism we have is that the pad on the back of the booth was very hard and was uncomfortable for both of our backs. Otherwise this is a fantastic place, the food, wine and service were all outstanding. Such and amazing place to celebrate! Staff, and food were simply amazing. We will definitely be going back again soon! I love this restaurant. I’ve had breakfast and dinner here as well as appetizers. The service is always wonderful and the food is amazing! Although we went to celebrate a birthday. I won’t be waiting for the next special occasion to return. Very impressed. Our food and drinks were great! Server was friendly and attentive! Will go back for sure! We've eaten here a few times in the past. This time we were celebrating some birthdays so brought the gang here. My husband had the juicy lucy sliders and they were ok, but the cheese was pretty much gone so there was just a big hole in the middle of the patty. The bundt cake for dessert was REALLY dry. The waitress said that she usually doesn't recommend people get the bundt cake because they tend to be dry....would of been good to know when we ordered it. The croque madame I had could of used a bit more sauce, but it was done really well. Everyone seemed to really enjoy their meals and we'll be back. The service was spectacular! Erin was pleasant, attentive and patient with us as we made our decisions. 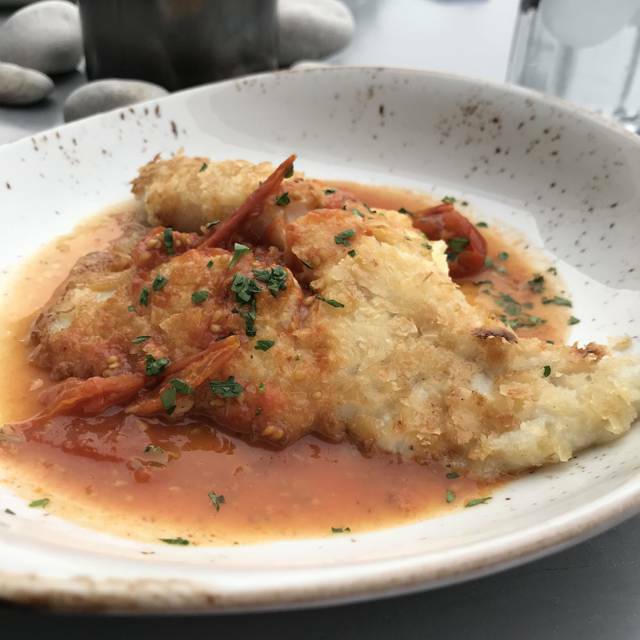 You must try the cheese curds, signature cocktails and anything on the dinner menu. My only complaint in regards to food was the dessert. It was a very dry mini Bundt cake. But I chalk that up to being very late in the evening by the time we ordered it. The ambiance isn’t intimate given the really high ceilings, but it almost felt that way when looking outside at the live fire pit. Nice touch! Excellent food and service. Openish kitchen concept makes it a little noisy, but definitely a pleasant, enjoyable environment. High-quality kids meals and options much appreciated!